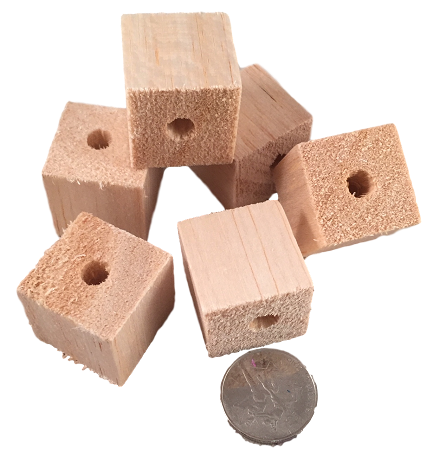 1" cubes of soft natural balsa slices with 1/4" hole. 6 pieces per package. 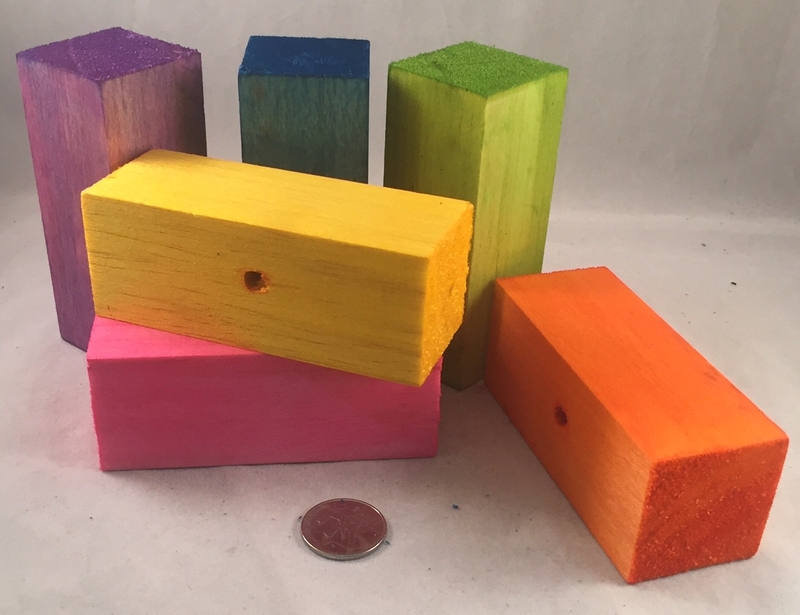 Great for small to intermediate sized birds. 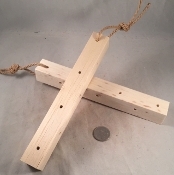 Made with North American balsa. Hand cut and drilled.